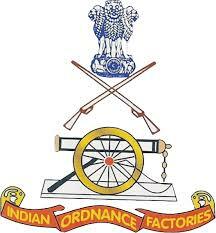 Indian Ordinance Factory Recruitment 2015: Government of India, Ministry of Defence, Indian Ordinance Factories has been released the notification for recruitment of Welder, Fitter, Electrician, Machinist, Painter, Turner and other jobs. If you want to know more details about the IOF recruitment 2015 then you have to click the given link and check it. This recruitment has filling up the vacancies in GCF Jabalpur vacancy 2015. The GCF is shortly called as Gun Carriage Factory. Candidates must read the Indian Ordinance Factory notification before fill the IOF Jabalpur online application. You can get the direct link for the IOF notification 2015 and apply the Indian Ordinance Factory online application 2015. So the applicants can easily apply the Indian Ordinance Factory jobs 2015. Eligible and interested candidates can apply the online mode of the application at the official portal www.ofbindia.gov.in. Applicants should start online registration for indian ordnance factory vacancies 2015 before the last date of the application on Sep 9th 2015. If you want more job updates and the you have to like our facebook page. Candidates should have an age limit must be between 18 years to 32 years as on date of the application. Age relaxation will be applicable for the applicants as per the Govt rules. Applicants who have pass the Intermediate/10th/Diploma/ITI from a recognized board of the school/Institute. Candidates must refer the official advertisement for more info. Selection of the aspirants will be based on the following criteri.